Beginning with the 1999's and all the way up to the new 2019's the Ford Super Duty is the most Stolen Pick Up Truck in the USA. So don't be surprised that we have a dedicated web page just for the Ford Super Duties Trucks. 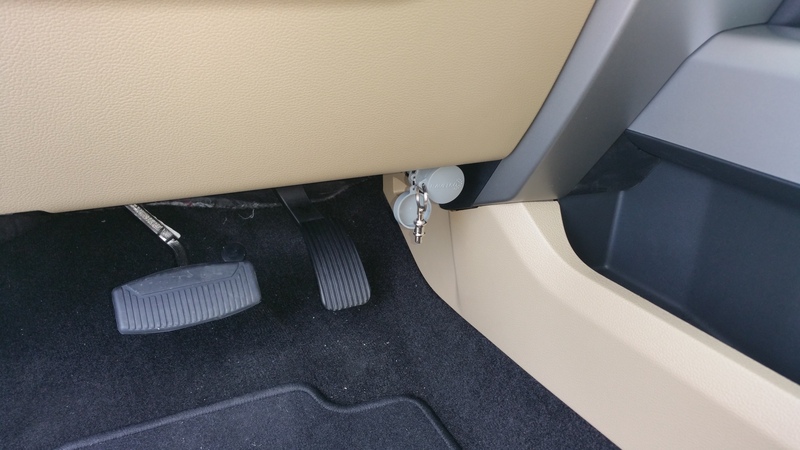 This is only because in the Houston area Ford's F-250 - F350 - F450 Super Duty Trucks are without a doubt the most popular vehicle that we install our Ravelco Anti Theft Device on. Sadly, the customer usually finds out about the Ravelco and its reputation after their vehicle has already been stolen. Just in the Houston area alone, our Ravelco installers will install as many as 80 Ravelco Anti Theft Devices per day and that is just on the Ford Super Duty Pick Ups! 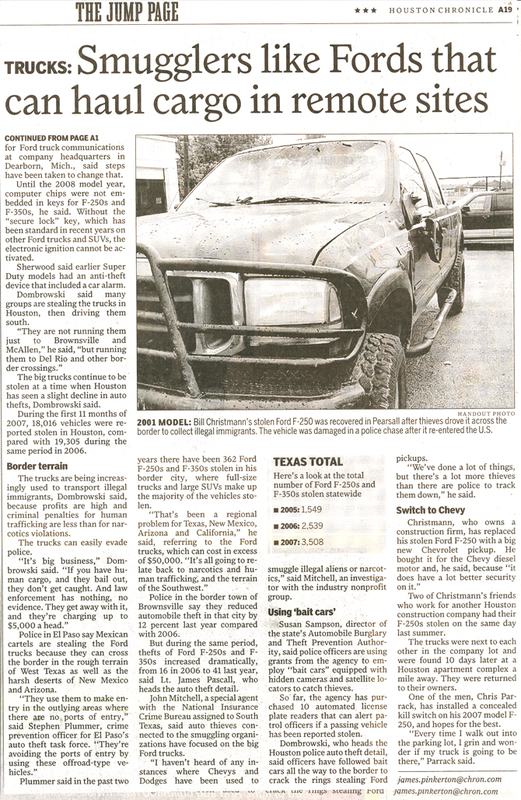 The following article was published in the Houston Chronicle on Sunday, January 20, 2008. 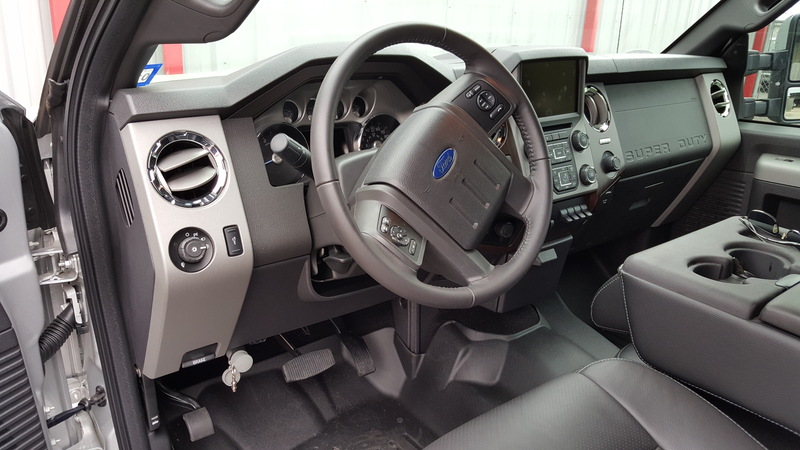 Pictured Below - The RAVELCO Anti Theft Device mounted in a 2019 F-250. The 2017, 2018 and 2019 Ford F-250, F-350 and F-450 Super Duty installations are the exact same. Pictured Below - The RAVELCO Anti Theft Device mounted in a 2016 F-250. From the year beginning 2008 thru 2016 all the Ford F-250, F-350 and F-450 Super Duty installations are the exact same. 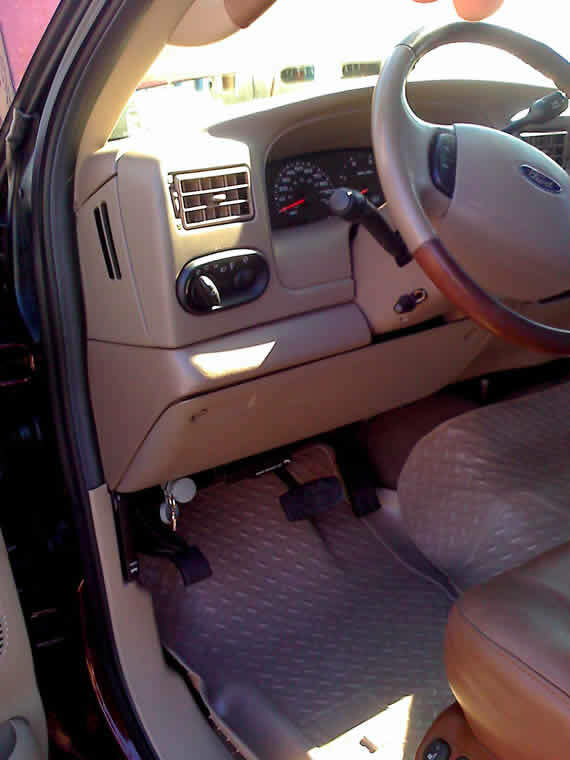 Pictured Below - The RAVELCO Anti Theft Device mounted in a 1999 F-250. From the year beginning 1999 thru 2007 all the Ford F-250, F-350 and F-450 Super Duty installations are the exact same. F-250/F-350 SUPER DUTY TESTIMONIALS . . .
FROM THE HOUSTON AREA . . .
Good Morning Ravelco, an attempted truck theft was foiled last night because of your fabulous Ravelco Security (anti Theft) Device. Due to the rising flood waters in the Barker Cypress (Houston) area, I was forced to bring my truck more inland to San Antonio where my daughter and her husband live. Knowing my truck was much more safe there than here in Houston, I parked it on the street in right front of her home. Yesterday morning, August 30th, I went to get a change of clothes in my truck and the driver's door was open, the dash and ignition lights were on but the truck's engine was not running. I could see where some bum rifled through all my belongs but as far as we know they took absolutely nothing. I pushed the start button to shut the ignition off, inserted my RAVELCO plug and once again pushed the start button and my 2017 Ford F450 Dually started! Thanks to Ravelco for saving my truck and most of all, my new Welding Rig. Trying to insult me once again, my wife said no one wanted my old clothes anyway so they left them! Once again thank you for your great anti theft device! - Les T. - Katy, Texas 8-31-2017. Season’s Greetings Ravelco, I don’t know if you will use this testimonial the way I wrote it, but I want to THANK YOU all for making our upcoming Christmas a great one. Last Saturday my family and I went to Memorial City Mall for some Christmas shopping with our entire family. The place was so packed we had to park out near the I-10 feeder. We were all in good spirits because of the holidays but mainly because we just took delivery of my husband’s new 2014 Ford F-350 Super Duty Pick Up. He ordered this truck back in August. After 3 hours of shopping when we came back to our truck and much to our surprise the driver’s door was wide open and the steering column was destroyed. All the idiot lights on the dash were on and the place where you insert your key was completely gone. The police officer who took our report told us that if it wasn’t for your RAVELCO our truck would be on its way to some ranch in Mexico. It is a shame that there are “scum bags” out there that try to rip off honest people who work for a living. Our young daughters cried when they saw what these bums did to our new truck. What bothers me the most is the thieves got in our truck without even breaking the glass or the door locks! The body shop manager said they must have used a scanner to open our doors. Once again thank you for saving our truck. - December 3, 2013 - Connie M. - Hedwig Village, Texas. "Hello Ravelco Guys – Last month you outfitted my new 2013 F-350 pickup truck with your Ravelco security system. This past Friday, I was at Hooters for lunch and actually witnessed a man open my truck door which I know I locked and proceed to steal my truck. Believe it or not, but this all happened in less that 15 seconds. I could not believe my eyes because this was a bright sunny afternoon. He ripped off a plastic shroud to expose a (switch?) to try to start my truck but Thank God the Ravelco saved it. When he turned on the ignition and nothing happened, he quickly exited the truck and ran into a back neighborhood. The thief left me a screw driver and a pair of pliers for my troubles. Just wanted to say thanks again for a great system." - April 8, 2013 - Heath G. - Houston, Texas. CALL RAVELCO of HOUSTON at 281 341-6222 . . .
to have your Ford Super Duty fitted with the Ravelco before it is too late. ● Our Installers come to your home or office. ● Installation under 1.5 hours. ● Guaranteed for the life you own your vehicle. ● NOT ONE VEHICLE EVER STOLEN!